Organizational growth depends upon the organizational culture and communication processes in an organization. For having the ultimate development culture it is most important to catch every possible idea that can shape up the new era of creativity and innovation. Here nowadays companies and big organization is setting up their culture through various activity which leads to the inter connectivity and smoother flow of information throughout. Success lies in the bottom of the pyramid so is the importance to bring each and everyone on a platform so that they can communicate, share and discuss their creativity and innovation with facts and details. 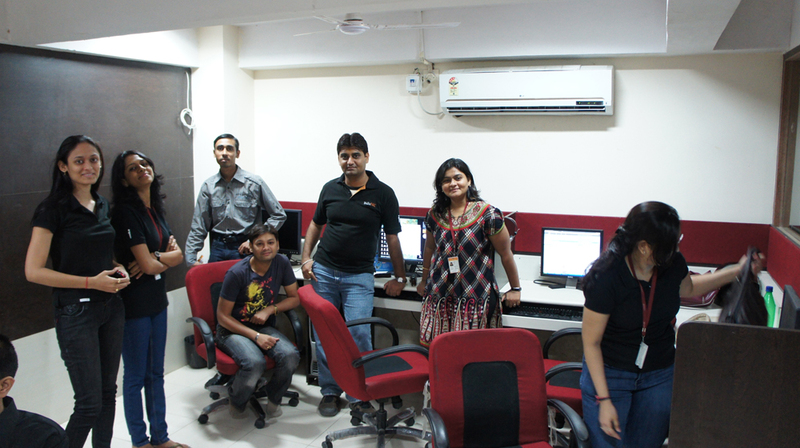 Respective Saturday Hack Day was celebrated in IndiaNIC through which a majestic platform has been provided to each and every employee so that they can come-up with their thoughts and idea towards the growth of the organization. The atmosphere on the IndiaNIC’s floor was charming and full of energy or one can say from each corner synergy of being creative embarked. This platform led to provide immense opportunity to thirty teams within the seven technology in which IndiaNIC deals. Whole day workshop has been provided to the teams so that they can summarized and can present their ideas in front of the jury or top management. On the basis of uniqueness and feasibility of the idea jury rewarded the best teams with the prize. Hack day has set the culture of working together in an open free environment with the team coordination where every individual can contribute towards the scalability on apex level and can also successfully implement on the best idea with full support from the organization. Each team presents their ideas with the brief of presentation in front of the jury. This was the incredible platform to work together and come up with something creative in itself as well as innovative. Each one put their best efforts to make something out of box and the best one got the rewards . This was the motivation for those who win and it will excel those who didn’t got it. Next time each one will have their chances so everyone has started working on their idea so that one can contribute in the best possible way and can implement on his idea with successful execution. Hack Day was inspiration to all IndiaNIC members and in any organization who seeks for a continuous growth these kinds of celebration with creative punch matters a lot. To get the excel through organization support one can reach to the glory and wisdom by proving himself so its your time to decide-To be or not to be! 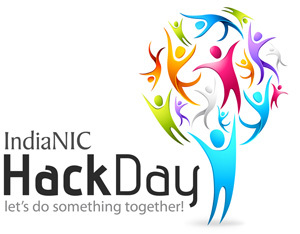 IndiaNIC celebrate hack day on 2nd July 2011. Few of good moments are listed below. It was the nice event …. Ya, I also enjoyed a lot. This type of event should be organize at regular intervals….. This Event will provide a platform to show employee’s talent and ideas. Thanks for wonderful odyssey ! Look forward for another one ! Its really very good to be part of these great event. Everybody had perform their role to success the event. It was wonderful day for all of us and company should organize such great events in future. It is beneficial for company as well as employee’s growth. Thanks for organizing this wonderful event. 7. Commitments towards a goal. I think this event has educated lot of things to us. Really it was a memorable day in my life. Thanks again for organizing this. The ideas are exceptionally well put together. The ideas were flowing in the air in every corner of the premises. Such a great event and cheerful day that came out so beautiful and fun time with each and every one rare to see in busy companies like IndiaNIC. We are so proud to be part of this lovely workplace. Regarding the event, unlike other teams, we weren’t much prepared to take part, hence given random members in last short span of time, the moment we started preparing thoughts and presentation and made it in few hrs to be presented to Jury though not being eligible for Prize but Kudos to US for atleast getting appreciation from Jury CEO and standing by our thoughts and proposal of presentation. However, Thumbs Up to all the winning teams. you guys truly deserve for the real teamwork, hardwork and quality of presentation and idea you put in. Awaiting from IndiaNIC to organize such kind of exciting events that takes us back to showcase something new from routing work..